Hans-Agne Jakobsson (1919–2009) Sweden. Hans-Agne Jakobsson apprenticed as a carpenter before studying architecture and going on to work as an industrial designer. He set up his own company in 1951, recently his designs have been rediscovered by collectors and interior designers due to their beautiful shapes and warm tones, he is best known for his lighting which is especially desirable. 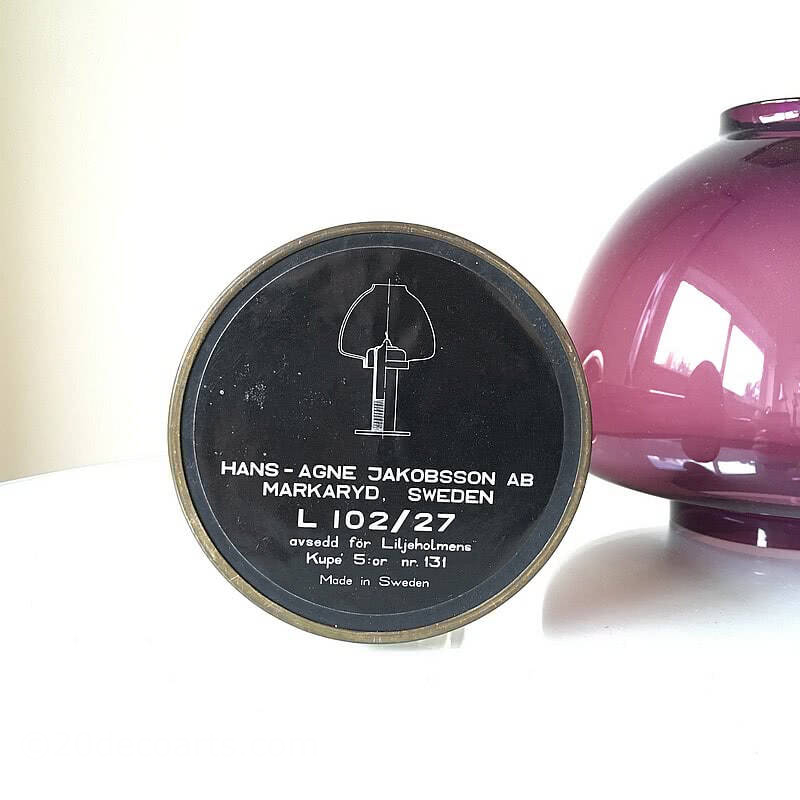 In excellent original condition, un-polished with a lovely patina to the brass, the purple glass shade is prefect.